A new entry has just been added to Belgravia’s Female Pattern Hair Loss Treatment Success Stories gallery. 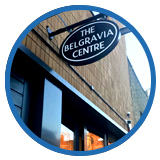 The Belgravia Centre is an organisation specialising in hair growth and hair loss prevention with two clinics and in-house pharmacies in Central London, UK. 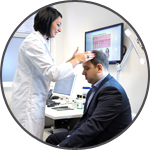 If you are worried about hair loss you can arrange a free consultation with a hair loss expert or complete our Online Consultation Form from anywhere in the world. View our Hair Loss Success Stories, which includes the world’s largest gallery of hair growth comparison photos and demonstrates the levels of success that so many of Belgravia’s patients achieve. You can also phone 020 7730 6666 any time to arrange a free consultation. A press release from Italian-based Cassiopea, the pharmaceutical company developing a Clascoterone-based genetic hair loss treatment known as Breezula, has provided a “very positive” Phase IIa update. This stage of the research was intended to establish the efficacy and safety of four separate doses of Breezula, and, according to its manufacturers, the topical anti-androgen has performed well, with no serious side effects related to the treatment being reported. The press release, dated 16th April 2019, boldly claims the “results indicate that Clascoterone stops the loss of hair and grows new hair”. 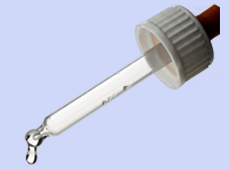 Clascoterone is a newly developed, anti-androgen chemical which is applied topically. In low doses of 1 per cent, it is being explored as a potential acne treatment. However, in larger doses of 2.5 to 7.5 per cent, it is piquing interest as a hair growth product. As with high strength minoxidil, it is applied directly to the scalp, where it penetrates the skin. It then acts on the androgen receptors located within the sebaceous glands and hair follicles. Like finasteride 1mg – the oral Male Pattern Hair Loss Treatment for men – Clascoterone is also a DHT blocker. Breezula’s action stops dihydrotestosterone from interacting with specific hair follicles, reducing the likelihood of thinning hair developing. The 12-month Phase II trial saw 400 men aged between 18 and 55 years old use various doses of Clascoterone. Three groups applied solutions of either 2.5%, 5% or 7.5% Clascoterone twice per day, whilst one group used the 7.5% dose once per day. A total of 344 participants completed the trial, and the mean data for each group showed an increased hair count during follow-up. The mean target area hair count increases were as follows: 10.2 for the group using the 2.5% solution, 13.8 for those using 5%, 14.3 for those using 7.5% twice per day and 12.7 for those using the 7.5% solution once per day. There were also notable mean changes recorded in the target area hair width measurements; these registered as 521.1 for 2.5% users, 615 for 5% users, 762.5 for 7.5% twice per day users and 658.8 for 7.5% once per day users. Researchers note in regard to the target area hair width data, “highly significant changes vs. vehicle were observed in all active groups with the highest change observed in the 7.5% BID [twice per day] group, which reached borderline statistical significance since the third month (first follow-up visit) and statistical significance at months 6, 9 and 12”. Furthermore, the results reported an “excellent safety profile”. Commenting on the Breezula clinical trial results, Belgravia hair loss specialist, Rali Bozhinova says, “These results showed statistical significance which of course sounds very promising and I look forward to seeing their future research. It looks like topical Clascoterone is overall well tolerated and is so far showing very positive efficacy on androgen-related conditions such as acne and androgenic alopecia. Women with PCOS sometimes experience androgenic alopecia, an oily scalp and scalp acne, which are all linked to androgen effects. So, topical Clascoterone may actually be very helpful in such cases. In fact, Cassiopea has noted its next steps will be to meet with the FDA in advance of the men’s Phase III clinical trials starting, as well as proceeding with a proof of concept clinical trial in women. The company’s product pipeline states that it hopes to complete these Phase III trials by 2020, ready for an anticipated launch date of 2022, assuming the MHRA and FDA – and any other appropriate medical regulatory boards – give their authorisations. For anyone worried about losing their hair now, 2022 – whilst only three years away – is still a long way off. Given Male Pattern Hair Loss is a permanent and progressive condition, those wishing to explore options for stabilising their shedding, promoting hair growth and preventing baldness would be well advised to seek advice now. Generally, the earlier you can start finding out what works for you, the better the results, when it comes to treating hair loss. There are existing clinically-proven hair loss treatment options which can be paired with additional hair growth supporting products, where appropriate, to form a holistic approach suited to each individual’s medical and lifestyle needs. Then, if – later down the line – new treatments, such as Breezula, come along and are suitably proven to be safe, tolerable and effective, a specialist will be able to talk you through switching or incorporating it into your current course of hair loss solutions – but at least you’ll have got a head start! "How Can I Make My Hair Thicker?" 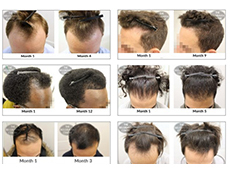 A new entry has just been added to Belgravia’s Male Hair Loss Treatment Success Stories gallery. Question: I started using fin and minox from the chemist three months ago and now I have acne. Is it from the treatments and will it go away or do I have to stop using them? Answer: Hi, Christian. Firstly, as you are not a Belgravia client we would recommend checking directly with your medication provider. This is because they should know more about the precise products you are using and your medical profile. Our general advice, however, is that acne is not a listed side effect for either finasteride 1mg or topical minoxidil. You can check the listed known adverse events on the patient information leaflets which should come with your medications, or can be provided by the pharmacist you purchased them from. People do respond differently to treatments though, so, if you think your hair loss products may be causing acne, it may be a good idea to stop the treatment for a while and see if your skin condition improves. If the acne gets better, you may restart your treatments one at a time and note if the acne returns. Should stopping hair loss treatment have no effect on your acne, there is most likely another cause behind it and you should contact your GP. Tell them of any medications – oral or topical – and food supplements you are using during your appointment so that they can make a full assessment. There are many potential causes of acne, including genetics, and your GP should be able to help you establish the reason behind your skin condition, and advise you on how best to clear these spots up. We have assumed that the acne you refer to is on your face and/or body; if it is on your scalp, we recommend seeing a hair specialist for a consultation in addition to taking the above steps. The autoimmune disorder Alopecia Areata can affect men, women and children, causing everything from small bald spots on the scalp only, to complete hairless-ness from head to toe. Whilst its mildest form may, to some, appear less to worry about, it can still be an incredibly difficult condition to come to terms with, given its unpredictability. Little is known about its epidemiology, but what is known is that hair regrowth may spontaneously recur at any time. However, if it does, the sudden hair loss may also recur again later. A study published on 19th March 2019 in the Journal of the European Academy of Dermatology and Venereology may have some encouraging news for those worried by this ‘unknowable’ aspect; researchers have now found that the likelihood of Alopecia Areata relapses may decrease with age. 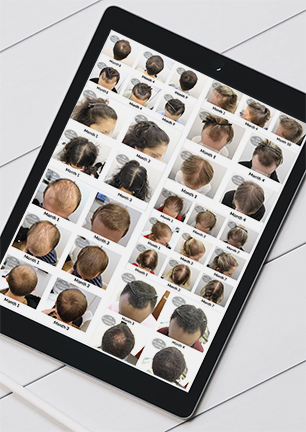 A team from the Department of Dermatology at Chaim Sheba Medical Centre in Tel Hashomer, Israel, explored the long-term course of Alopecia Areata by investigating its prevalence in different age groups. After carrying out a retrospective evaluation of 104 cases of Alopecia Areata – 31 of which started in childhood, 63 were adult-onset and 10 were referred to as ‘late-onset’ – from diagnosis through at least 7 years of follow-up, the team published their findings. “At first episode, 88.5% of patients had mild, 3.8% moderate and 7.7% severe AA. Full or significant re‐growth was observed in 74%, 94% and 100% of childhood‐onset, adult‐onset and late‐onset AA patients, respectively. There was no re‐growth in 13%, 3% and 0% of childhood‐onset, adult‐onset and late‐onset patients, respectively,” write the study’s authors. Researchers confirmed they found no correlation between the relapse rate and gender, how severe the hair loss was, or whether any – or which – treatment was used during the initial bout. In many cases where Alopecia Areata causes patchy hair loss of the scalp only, hair regrowth will resume naturally within 12 months. When this hair grows back, it may be paler, white or silver-looking – this is normal and the usual hair colour tends to reappear within a few hair growth cycles. This spontaneous recovery does not always happen, however, and for those wanting advice on regrowing hair, a consultation with a hair loss specialist can be beneficial. At Belgravia personalised courses of Alopecia Areata treatment are available to suitable adults; these involve topical high strength minoxidil hair loss solutions which can be used at home. For children, or those with the more extensive forms of autoimmune alopecia which affect areas other than the scalp, a dermatologist or GP will be able to advise on the best options from potential treatments to emotional and peer support. Will Pfizer Win the JAK Inhibitor Alopecia Areata Treatment Race? A 2017 Phase 2a clinical trial exploring twice-per-day oral doses of setipiprant as a potential treatment for Male Pattern Hair Loss has now published its findings. 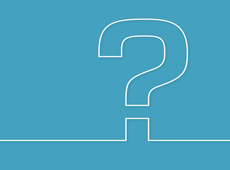 Setipiprant is an investigational drug – originally developed as an allergy medication – currently being explored as an antagonist for the PGD2 receptor; the PGD2 receptor is an enzyme that was shown in 2012 to affect hair growth and be an area worthy of study in order for targeted treatments for various hair loss conditions to be developed. The randomised, multi-centre study was sponsored by Allergan, and pitted setipiprant against finasteride 1mg – currently the only MHRA-licensed and FDA-approved oral men’s hair loss treatment for androgenetic alopecia. 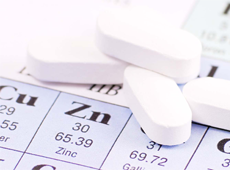 In the results, published on 9th April 2019, some of the data for the finasteride element of the trial has been omitted, however. The double-blind American trial comprised 169 men aged between 18 and 49 years of age, all with a confirmed diagnosis of genetic hair loss. These participants formed three separate groups, each of which was administered oral tablets for 24 weeks. One group of 83 men was given setipiprant 1,000mg (2 x 500mg) to be taken at 12 hour intervals, another group of 12 men was given finasteride 1mg to be taken once per day, whilst a further 74 men took a placebo twice daily at 12 hour intervals. There were a number of participants who did not complete the trial – 26 of those taking setipiprant, 26 of those taking the placebo and 4 from the finasteride group. Reasons ranged from withdrawing consent and not properly complying with the study drug, to adverse events. As such, the numbers reduced to 78 taking setipiprant, 11 taking finasteride and 70 taking the placebo. For these men, the following terminal hair counts were recorded in the target area being studied, described as being at the “anterior leading edge of vertex thinning area of scalp and centered with a semi-permanent microdot tattoo to ensure same target area was reproduced each visit”. The changes seen after 24 weeks of treatment, of each type, were measured using digital imaging and the recorded data can be seen in the bar chart, here. On first appearance, these hair count results look impressive for setipiprant, however, it is only when taking into account the mean data that the true picture emerges. And it is certainly less compelling. Given the mean is so varied – and the statistical analysis also had a P-value of 0.9239) – this effectively renders them insignificant. This is perhaps why the results were published without fanfare or press release – just yet, at least. We believe that Allergan is currently waiting for its study to be federally evaluated so, this may also be a reason to delay comment. To be clear, this does not mean that setipiprant does not show promise as a Male Pattern Hair Loss treatment; what it means is that further research – ideally using better matched participants – is needed to properly establish its potential. For now, it remains unproven and far more clinical trials are required if Allergan wishes to meet its current pipeline estimate of a 2021/22 release. A new entry has just been added to Belgravia’s Female Pattern Hair Loss and Hair Breakage Treatment Success Stories galleries. Beating cancer is a huge achievement and relief for many, but this may be marred somewhat for those left with persistent hair loss from chemotherapy. People who lose their hair during chemotherapy generally see it return to its pre-chemo state within around 12 months of finishing their treatment course. However, as the recent US class action lawsuit regarding the effects of Taxotere – a chemotherapy drug which causes permanent baldness – has brought to the fore, this is not the case for everyone. A report published in the JAMA Dermatology journal explains the quality of life associated with persistent postchemotherapy alopecia. A large-scale, multi-centre review of 192 women experiencing persistent chemotherapy-induced alopecia (pCIA) or endocrine therapy-induced alopecia following chemotherapy (EIAC) examined these individuals’ quality of life, using the Hairdex questionnaire. Their response to appropriate hair loss treatment was also assessed. Persistent chemotherapy-induced alopecia was found to often be “more severe and diffuse” compared with EIAC. However, negative quality of life feelings were recorded in both groups. Mild to moderate improvements to these scores were registered following hair loss treatment. The treatment comprised topical minoxidil – currently a dose-dependent hair loss solution MHRA-licensed and FDA-approved for the treatment of the genetic conditions, Male and Female Pattern Baldness – either on its own or when used alongside orally-administered spironolactone. Researchers concluded the report, by suggesting “Additional studies are warranted to develop effective strategies for prevention and effective therapy for pCIA and EIAC”. In cases where hair loss lasts for longer than usual following chemotherapy, and it is upsetting or, as found in the study, having a negative effect on a cancer survivor’s quality of life, a consultation with a specialist is advised. 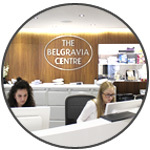 At Belgravia, our hair loss specialists are happy to provide an assessment and, where appropriate, treatment recommendations to both men and women experiencing these hair regrowth issues. 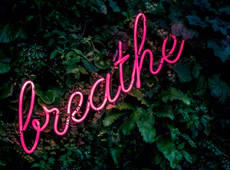 However, it is important to be aware that in order for any treatment to be prescribed – if it is considered worthwhile – a letter confirming their suitability for this is required from the patient’s oncologist beforehand.